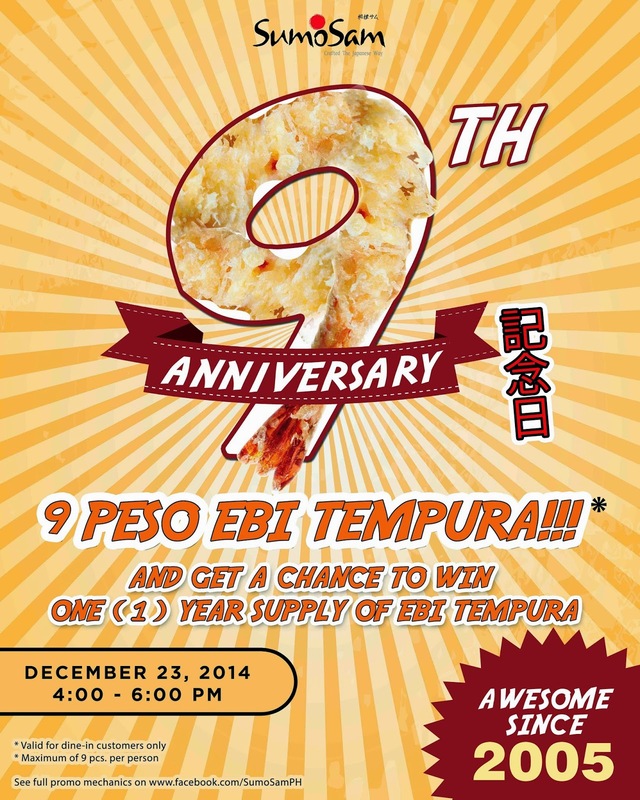 What Mary Loves: Promo Alert: One Year Supply of Sumo Sam's Ebi Tempura?!? 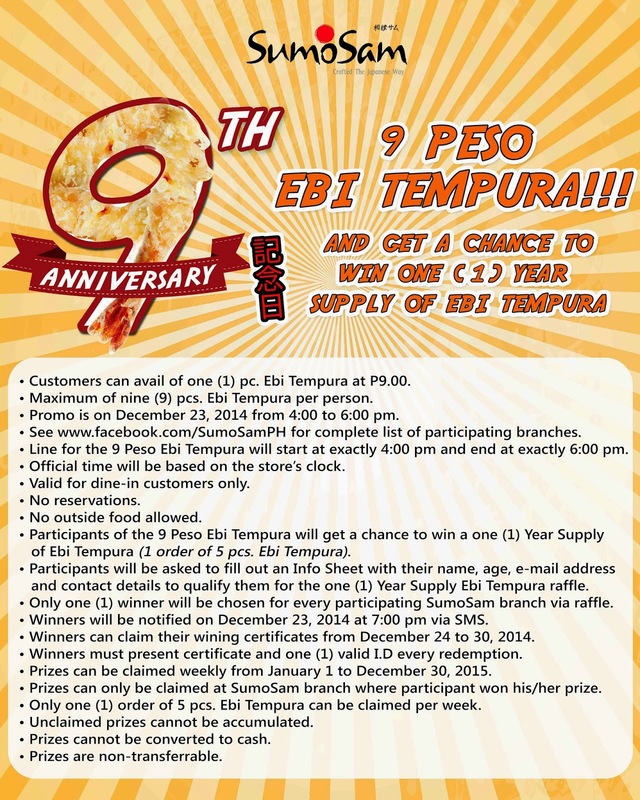 Promo Alert: One Year Supply of Sumo Sam's Ebi Tempura?!? I cannot count how many times I said the sentence “I love Japanese food.” I just love it so much! 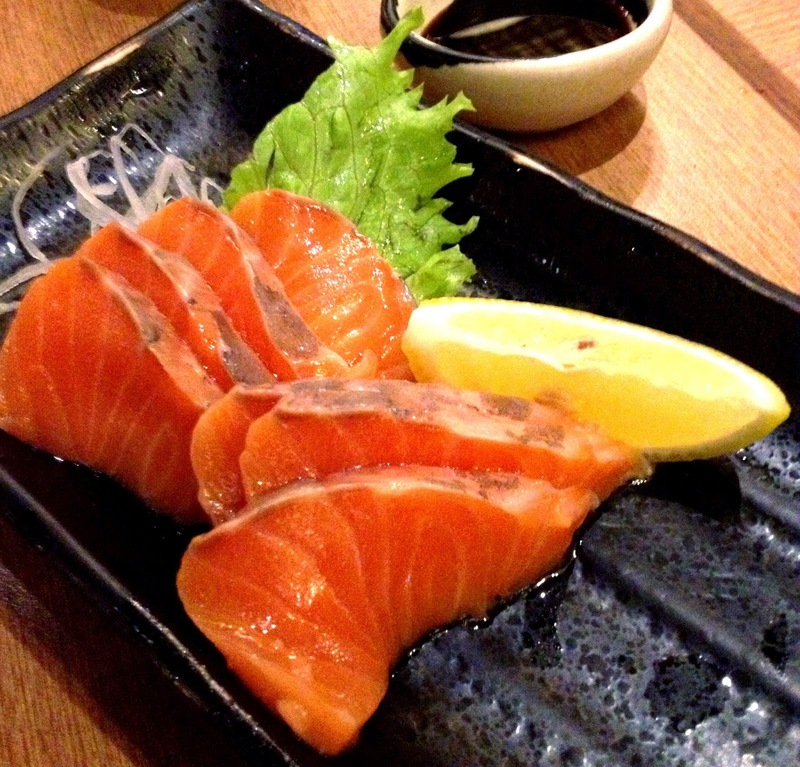 Salmon sashimi and teppanyaki forever!!! And things just got sweeter when I got an email about Sumo Sam’s wonderful 9th birthday. On its 9th birthday, Sumo Sam will hold THREE interesting promos. No, your eyes are not playing tricks on you. It really is just NINE PESOS per ebi tempura! It’s a steal right? On the 23rd of December from 4:00 p.m. to 6:00 p.m., order as many ebi tempura you want! If this isn’t enough, diners who avail of this promo could also win a ONE YEAR SUPPLY of ebi tempura! Imagine this: tempura… every day… for a year! Sweet! Know anyone named Sam and born on December 23, 2005? 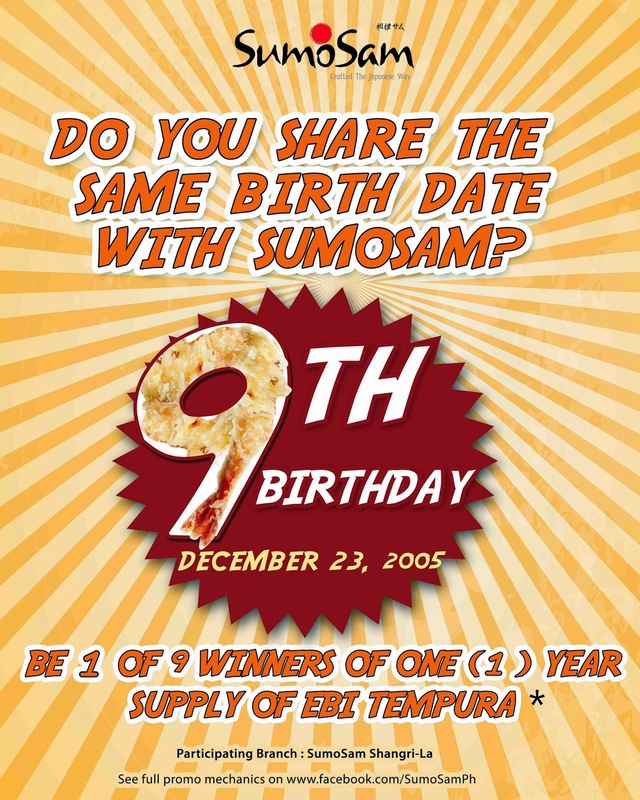 Celebrate your niece/nephew’s birthday at Sumo Sam and he or she could win a one year supply of ebi tempura! 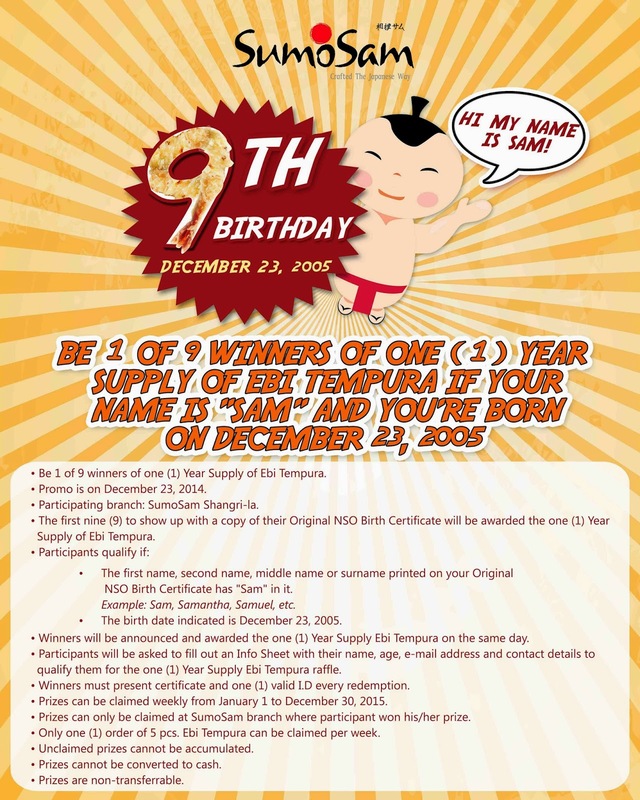 Nine lucky nine year old namesakes of Sumo Sam could win. All it takes is proof of name and age. 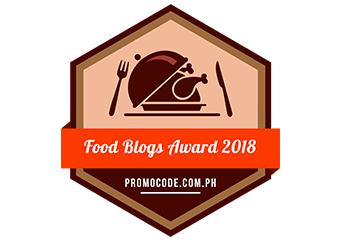 Foodies have developed this discipline of not eating right away. We take a photo (or photos) of our food first before enjoying it. 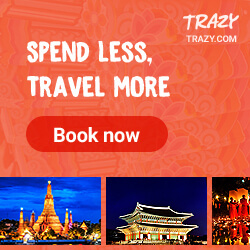 So why not make it worthwhile? 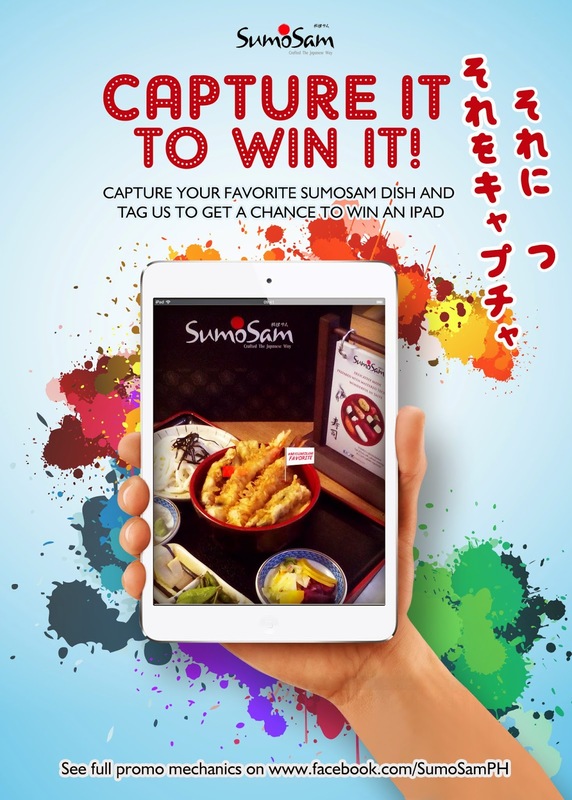 Ask a Sumo Sam server for a Sumo Sam food flag, take a photo of your favorite dish, upload it on Facebook and Instagram and get a chance to win an iPad! P.S. 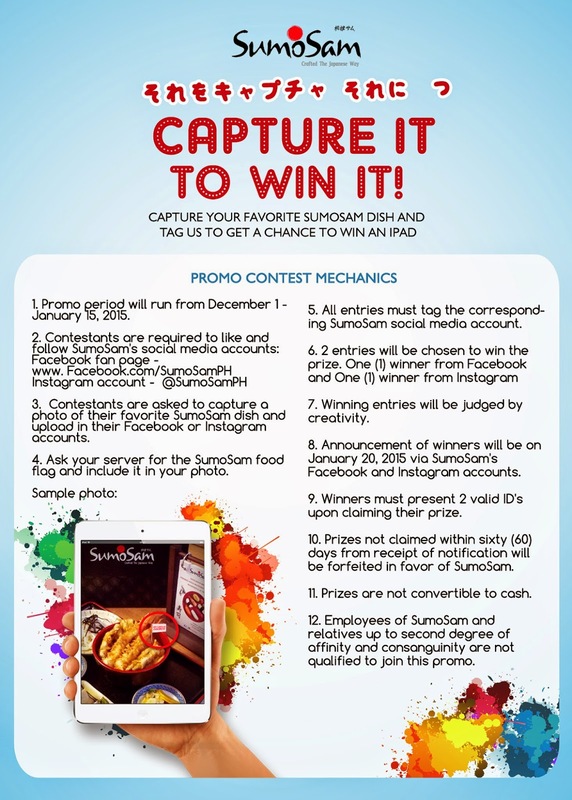 Please see Sumo Sam’s promo mechanics for details. 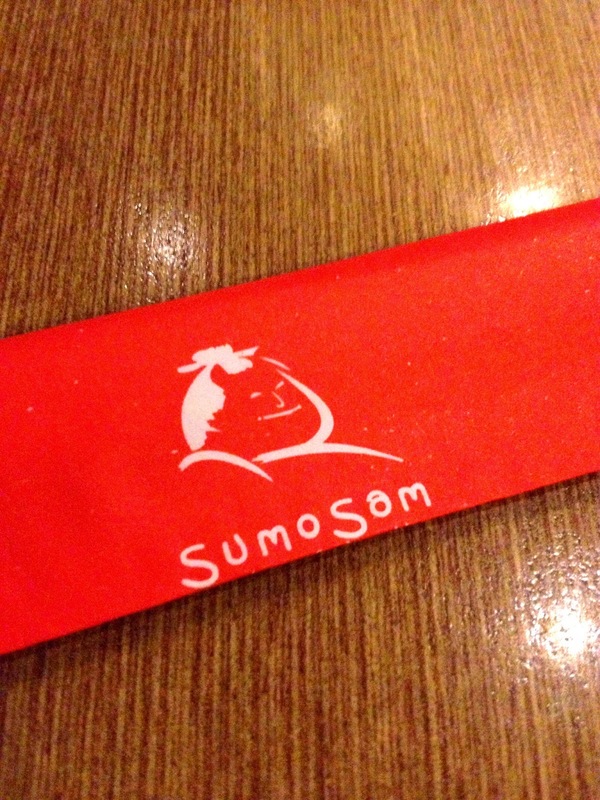 I hope that they do an unlimited salmon sashimi promo soon!